The Corvette and the Cobra from Shelby are no new name in Ford’s racing plans. 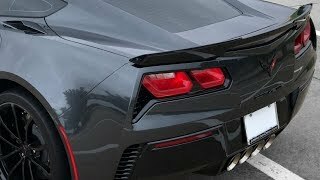 In queue to same at the 2016 Geneva Motor Show, they took the curtains off from their Chevrolet Corvette Grand Sport 2017. The model comes with the aggressive body that hides a powerful engine beneath and features inside that make it more of a driver’s car. 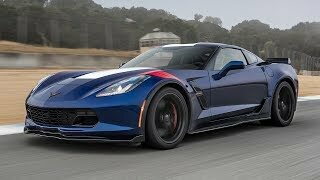 Let us have a look at the review of Chevrolet Corvette Grand Sport 2017 to know in detail about it. The interior of Chevrolet Corvette Grand Sport 2017 carries cues from the Z06 we recently saw. The queue of differences among the two includes use of high-end materials and carbon fiber inserts getting further accompanied by the flat bottom steering wheel mounted in front of the magnesium frames seats. Talking about the comfortable and spacious cabin; it looks remarkable with its brushed aluminum trim that comes with the Heritage package. Getting inside you’ll feel the sportive ride that is about to come and the high-end materials that add to looks and feel. 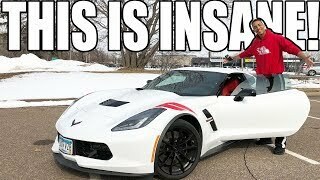 Thus rounding up the interior details of Chevrolet Corvette Grand Sport 2017 I would call it luxuriously sportive. Just like the interior, exterior of Chevrolet Corvette Grand Sport 2017 carries resemblances with the Corvette Z06. Starting with the front fascia it has gorgeous fender graphics and barbaric marks with pair of stripes running through adoring the five standard paints that cover the entire body. The model is adorned with graphics and body lines and curves while the black wheels make the model look more sportive. At the very first glance the blue stripes over front and rear fenders and the air duct over the hood with those flat headlights will mesmerize you. 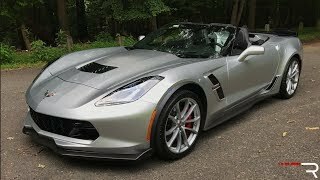 Thus rounding up the exterior details of Chevrolet Corvette Grand Sport 2017 I would just call it aggressive, sportive and luxurious. Powering the Chevrolet Corvette Grand Sport 2017 is the carried ahead LTI V8 engine from the standard model. However now the engine cranks total output of 460 hp and peak torque of 630 nm mating to seven speed manual transmission or eight-speed automatic transmission with paddle shifters. 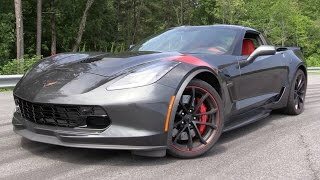 The performance figures of Chevrolet Corvette Grand Sport 2017 are still not out but looking at the power output and the body design inside and out, we can expect robust figures.